A Little Bit of Nikki G : Are you ready for The Dark Tower? I have watched the trailer for The Dark Tower several times and get more excited about seeing it each time. August 4th is a loooonnnnnggg time to wait for a movie to come out but alas....what am I to do. 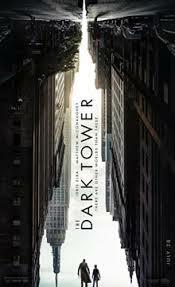 So I did a little research and found more info including the fact that this movie is based on eight novels, 30 comic book series entitled the Dark Tower written by best-selling author Stephen King. Now as far as adaptations go I have read plenty of comments by plenty of fans who are bracing themselves for the worse most likely because the idea of eight books and 30 comics being condensed into a two hour movie has got to have fans wondering how are they going do it? And what is going to be left out? One of the main things I have read that is bothering some fans, not all, is the fact that Idris Elba was cast as Roland who appears in all illustrations and characterizations as blue-eyed white male basically a Clint Eastwood dobble-ganger. Now in case you don't know, Idris has that melanin poppin. He's English. He portrayed Stringer Bell in The Wire and he has been K. Michelle's muse via an ill-fated #situationship that ended badly. Based on what I've seen in these trailers...he's killing this part!! A few commenters mentioned the fact that Idris wasn't cast as the first black James Bond so this was the politically correct thing to do. Cast him as the black version of Roland Deschain, the movie's main character the last of a line of gunslingers who is trapped in an eternal feud with a man described as worse than the devil himself The Man in Black played by Matthew McConaughey who the gunslinger must keep from tumbling the Tower. Now based on some of the descriptions I have read, sans the color of his skin, Idris is indeed a great choice especially with that scruffy beard but hey what do I know. I know he has the acting chops and he's already gotten the role so the proof will be in the pudding so enough. 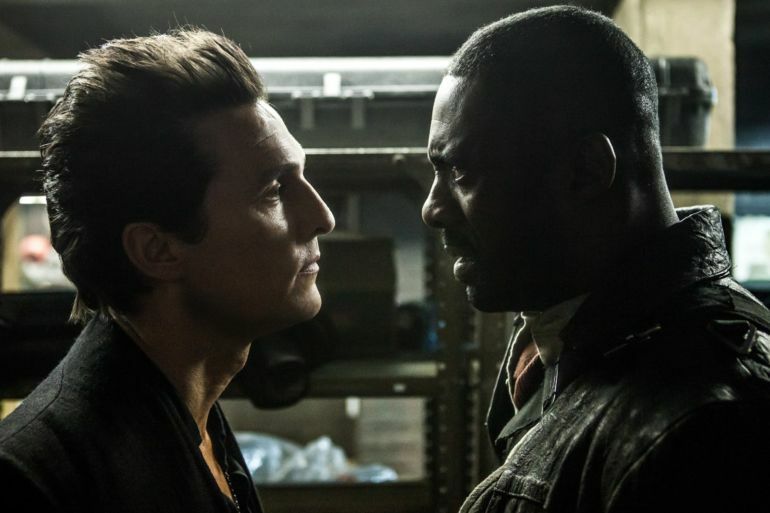 Are you excited to see The Dark Tower? What is your favorite movie adaptation? What is your least favorite movie adaptation?